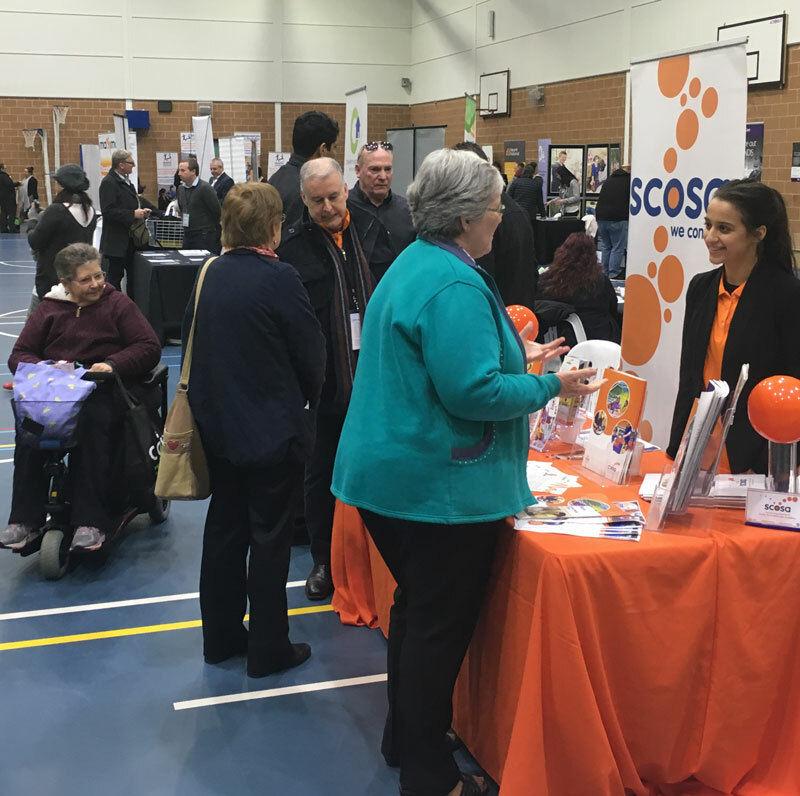 Around 500 people filled the Golden Grove Recreation Centre for a super-sized National Disability Insurance Scheme (NDIS) expo run by the state government earlier this week. Audiences heard from a range of speakers about how the NDIS works and job opportunities in the sector. Ninety businesses, including disability service providers and registered training organisations, set up expo stalls to distribute information. The NDIS started rolling out for people aged 18 to 64 in Northern Adelaide from 1 July this year, and will begin rolling out in Tea Tree Gully from 1 October. This will mean up to 2,000 new jobs in disability within the local area. Around 6,000 new jobs will be created in South Australia in a wide variety of roles to support people with disability. The next NDIS expos will be held in southern Adelaide and the Fleurieu Peninsula in September.